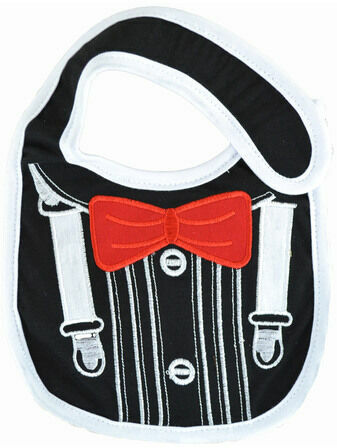 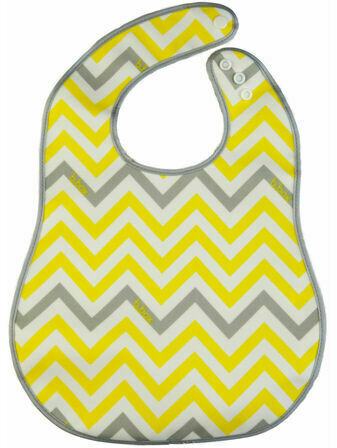 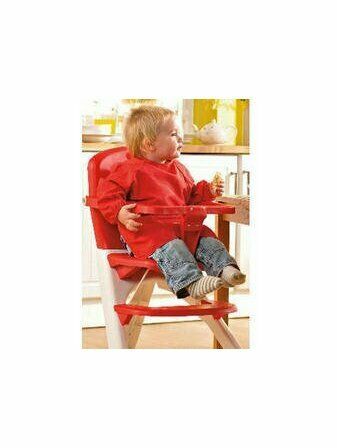 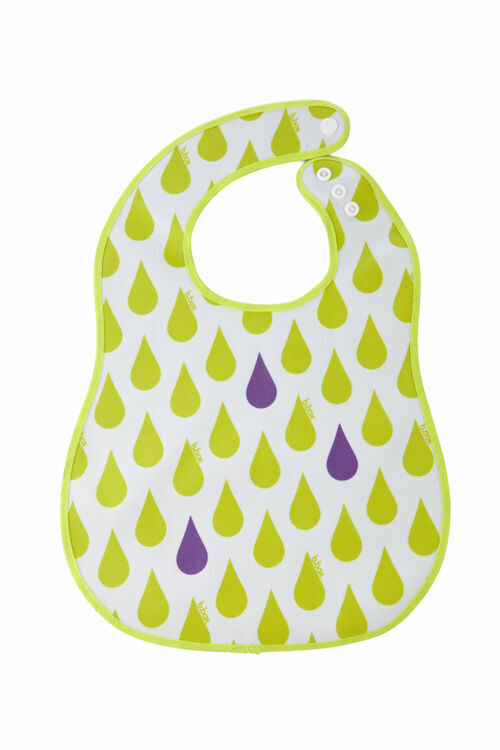 Have an always fun mealtime, whether at home or out for the day, with this wondrously coloured and quality made flat bib from b.box. 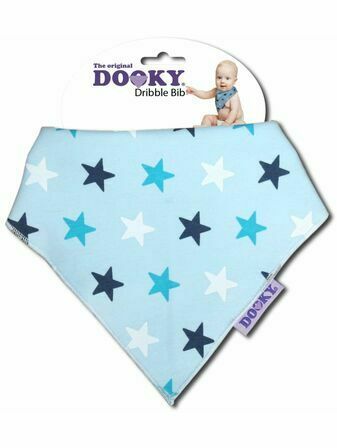 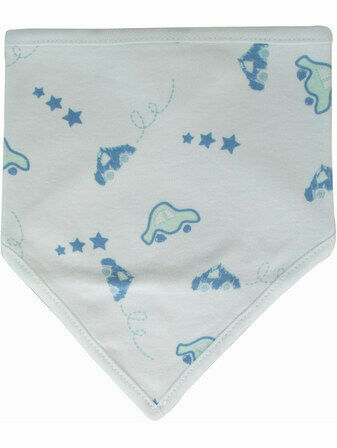 As well as standard bib features like a large surface area and adjustable neck strap, the Essential Baby Bib is made with a wipe clean surface, that can be cleaned by simply rinsing or washing with mild detergent. 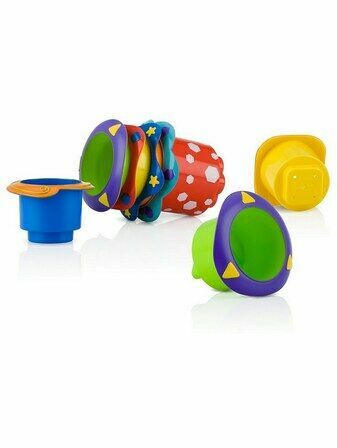 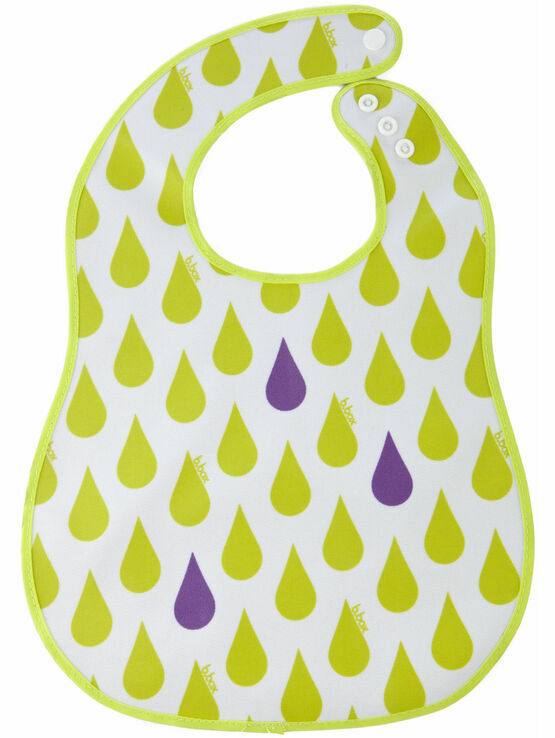  Features the ‘splish splash’ design; an appropriate mix of yellow and purple raindrops that suit the soon-to-be messy nature of this feeding accessory.